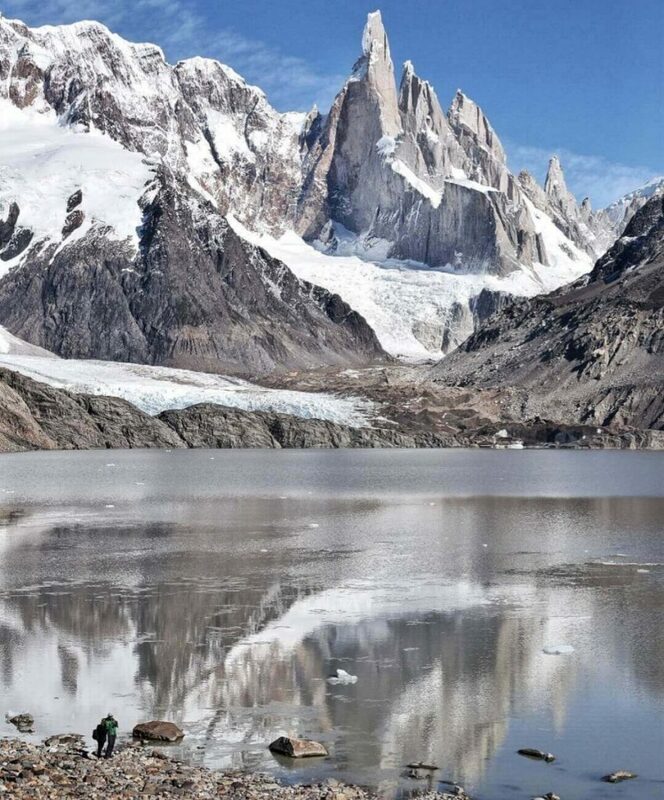 There is little doubt that El Chalten, in the Santa Cruz province of Argentina, is one of the world’s best hiking hubs. This rather nondescript village is little more than a few houses. It was founded in 1985 in an effort by the Argentinian government to protect the much contested border between Argentina and Chile and has since expanded to accommodate the multitude of visitors attracted by the incredible surroundings. Indeed, this is where some of the mightiest mountains in the world are located, including Cerro Fitz Roy and Cerro Torre. Mind you, they are hardly the tallest in South America. Yet, they stand proud, calling to be explored. And that’s what people who visit El Chalten do. 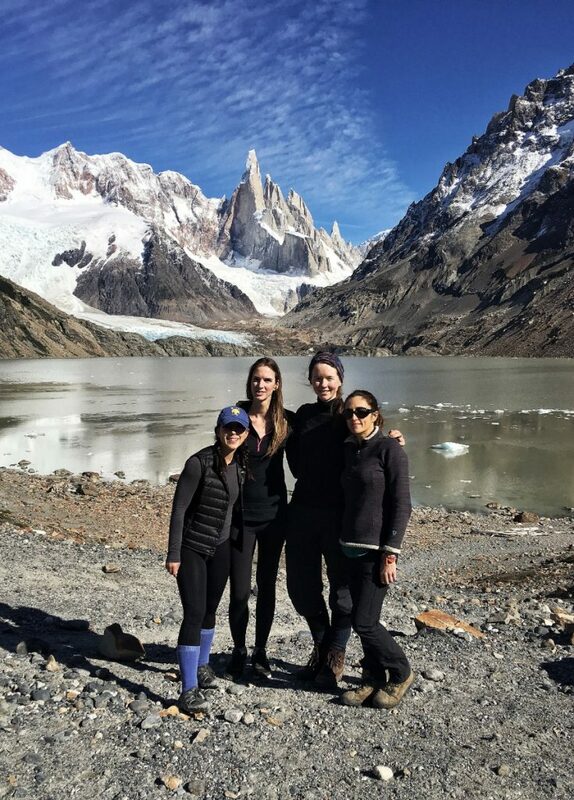 The best thing about El Chalten is that hiking is easily accessible. All you have to do is walk out the door, and you’ll find yourself on a trail that takes you somewhere absolutely stunning. 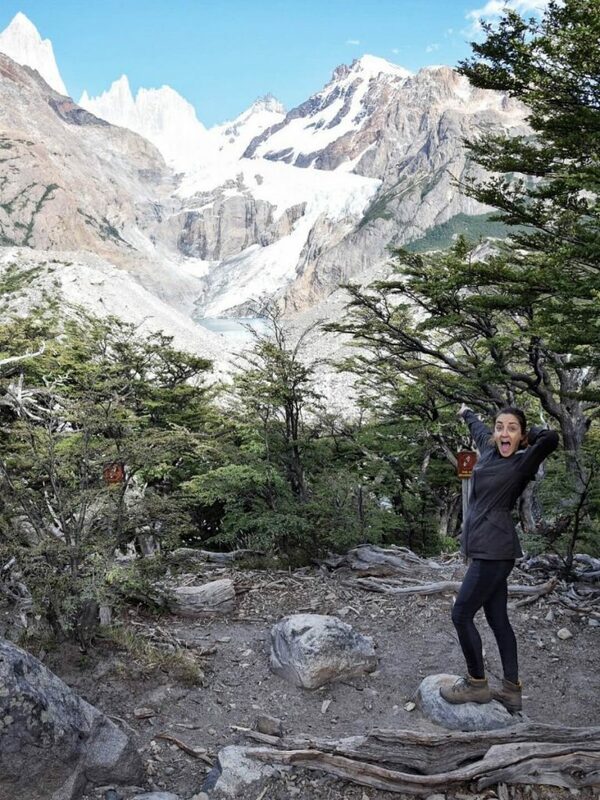 Yes: virtually all hikes in El Chalten begin right in the village, and all the trails are free to access. 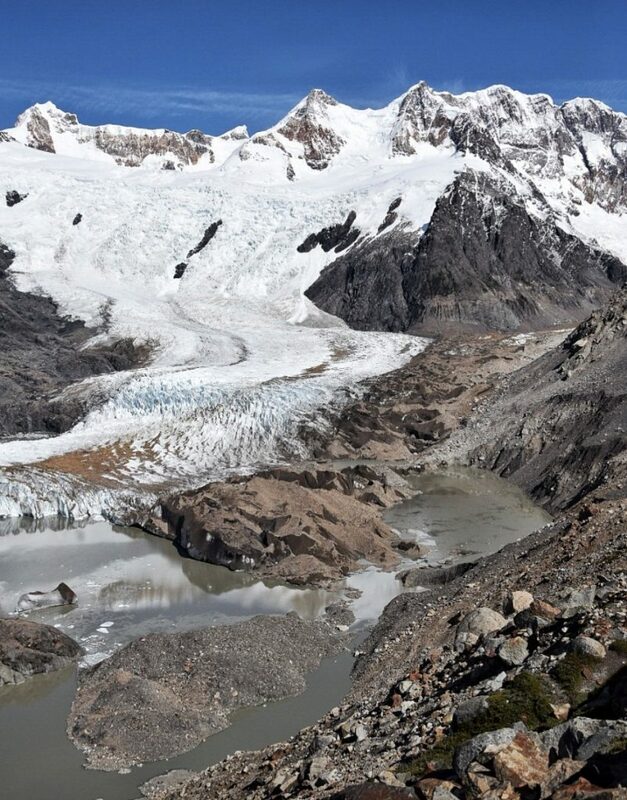 The following are the best day hikes you can enjoy while in El Chalten. The walk to the Condor Lookout is the perfect introduction to all that El Chalten has to offer. A very easy hike of only 2 km (out and back), it takes no more than an hour to complete, so you can complete it early in the morning before you go on another hike. The trail starts right before the entrance of the village, and the gradual but steady ascent takes you to an incredible view of the mountains and Lake Viedma. Trail Tip: Hike this trail in early morning, starting well before sunrise. The view of the sun as it rises above some of the most beautiful peaks in South America and the pink glow of the sky are simply incredible. The hike to Laguna Torre easily qualifies as one of the best in Argentina. It’s a moderate trek of between 19 and 25 km and takes between 5 and 7 hours, depending on how far you walk. The trail starts on the northern end of El Chalten. 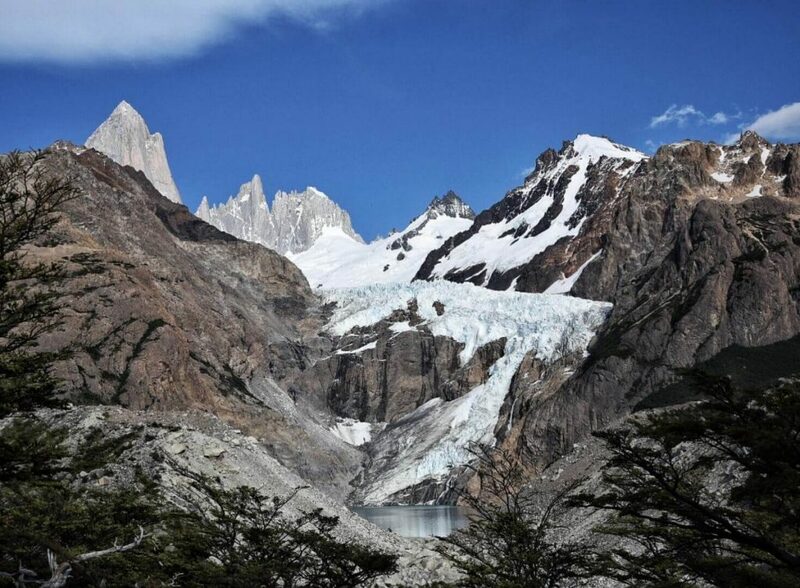 An initial steep ascent of about 2 km leads to some beautiful meadows where you’ll get your first peak of Cerro Torre. You then continue walking along the river and through the thick forest, until you reach Laguna Torre, a beautiful lake at the base of a glacier. The views are spectacular throughout. Once you get to the lagoon, you can continue on a narrow, steep and uneven trail that goes all the way to Mirador Maestri, a lookout point with spectacular views of the glaciers and lake below. Return to El Chalten on the same trail. 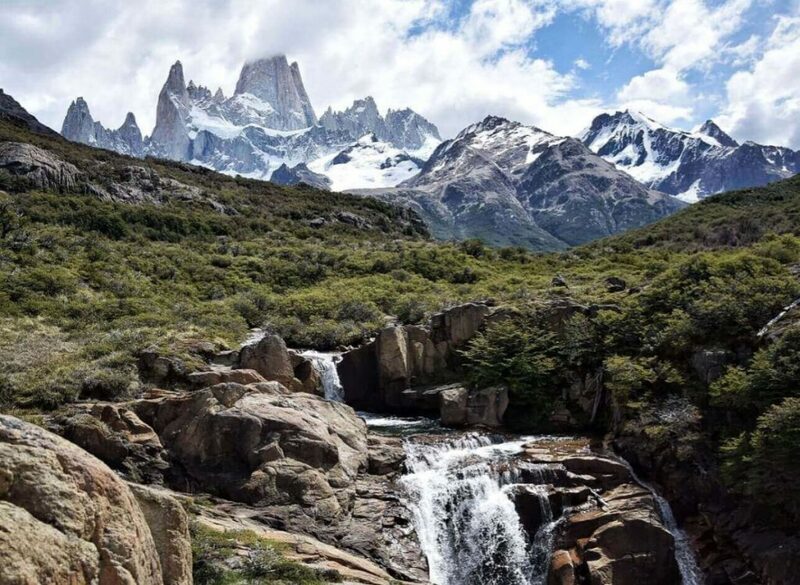 If you only have time for one hike while visiting El Chalten, make it this one. 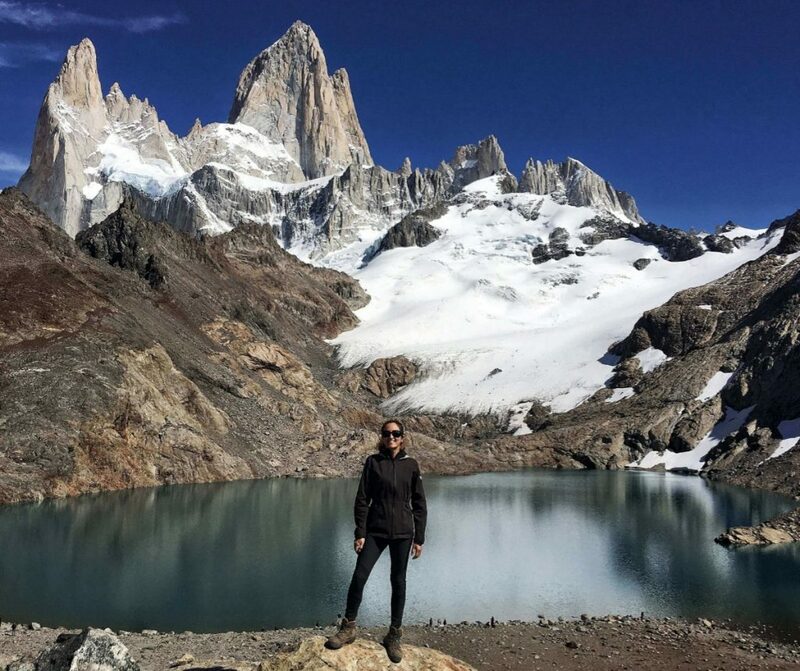 The hike to Laguna de Los Tres goes to the base of Cerro Fitz Roy and it easily qualifies as one of the most scenic hikes in the world. 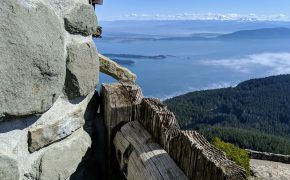 The hike is 12.5 km (8 miles) one-way and takes about 8 hours round trip or longer, depending on how long you stop along the way to catch your breath and enjoy the incredible views. You can either start at the northern end of the village, or you can start from El Pilar. The trail from El Pilar is actually shorter, but it requires a car since it’s 15 kilometers away from El Chalten. The hike is moderate for the most part, save one steep uphill section that goes to the lagoon. One kilometer after reaching a camping site called Campamento Poincenot, you cross the river to reach the base of the trail that goes all the way to the lagoon. A sign will warn you to continue hiking only if you are perfectly fit. The 1-km trail to the lagoon is a steady uphill with a 40% incline on uneasy terrain. It’s strenuous and hard on your legs and knees, even more so on the way down. Once you get to the lagoon, you’re rewarded with the most incredible views, especially on a clear day. 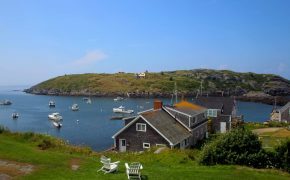 The hikes mentioned in this post are all day hikes, but you can also combine them for 2 full days of hiking. 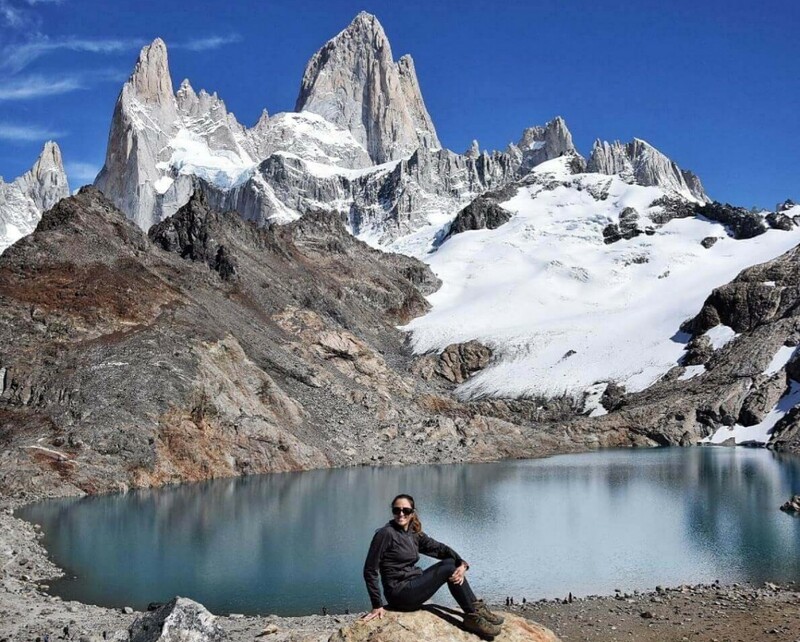 The trails that go to Laguna Torre and Laguna de Los Tres are joined together by a trail that goes along Laguna Madre and Laguna Hija, and there are a few camping sites where you can spend the night. This is a great option if you’re willing to wake up before dawn to reach Laguna de Los Tres for sunrise. Excited to hit the trails in El Chalten, Argentina. The day hikes around El Chalten can be done independently. There always are lots of people on the trails, which are very well marked so there is no risk of getting lost. Having said so, I don’t recommend walking alone. This part of the country is very isolated, and there is no phone signal. In case of emergency, you’ll want someone to go back to town to call for help! If you like the idea of having a guide for your hike, you’ll be happy to know that several companies run guided hikes that leave from town every day. The best time to visit El Chalten is between November and April. One important factor to keep in mind when hiking in this region is that the weather is rather unpredictable, even in the summer months. You may get sun, strong wind, rain and even snow on any given day. My recommendation is to plan to spend a few days in the region, regularly checking the weather broadcast. Head out as soon as you see sun in the forecast. Locals swear that the water in El Chalten is perfectly safe to drink. The local authorities work hard to educate people to keep the stream clean and safe to avoid the risk of contamination. Carry your own bottle and refill it at the stream if necessary. If you want to be extra safe, use a filter. There are no toilets or garbage bins along the trails in El Chalten, but they are incredibly well kept and clean. You’ll find hole-in-the-ground toilets on the way to Laguna de Los Tres. A sign points to toilets on the trail to Laguna Torre, but these consist of well covered bushes. Either way, make sure to bring a small bag so you can pack out your toilet paper and your waste. Keeping in mind that the weather in this part of the world can be rather unpredictable, you have to be dressed accordingly and make sure to carry at least an extra layer of clothes in your day pack. Having said so, this is what you should be wearing. Hiking boots: Pick a waterproof pair that provide good ankle support. Hiking socks: Prevent blisters with quick dry, wicking socks. Hiking pants: I recommend such the KÜHL HÖRIZN STRAIGHT or WEEKENDR TIGHT. Hat to protect against wind and sun: I recommend a cap or beanie.